February 14th is not only Valentine’s Day, it also marks Oregon’s birthday! The Beaver State turns 160 years old this Thursday. Oregon was officially admitted into the Union in 1859. As the 33rd state, Britain never fully governed Oregon. From its rushing rivers, to the scenic coast and magnificent mountains, Oregon has much to offer its residents and visitors. Here in Southern Oregon you’ll find the deepest lake in America – Crater Lake. 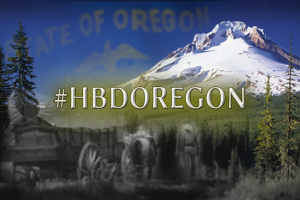 This weekend, visitors to the state capitol in Salem can enjoy a birthday party for Oregon. Costumed history interpreters will help lead the event that’s free to the public. It also, of course, includes cake!